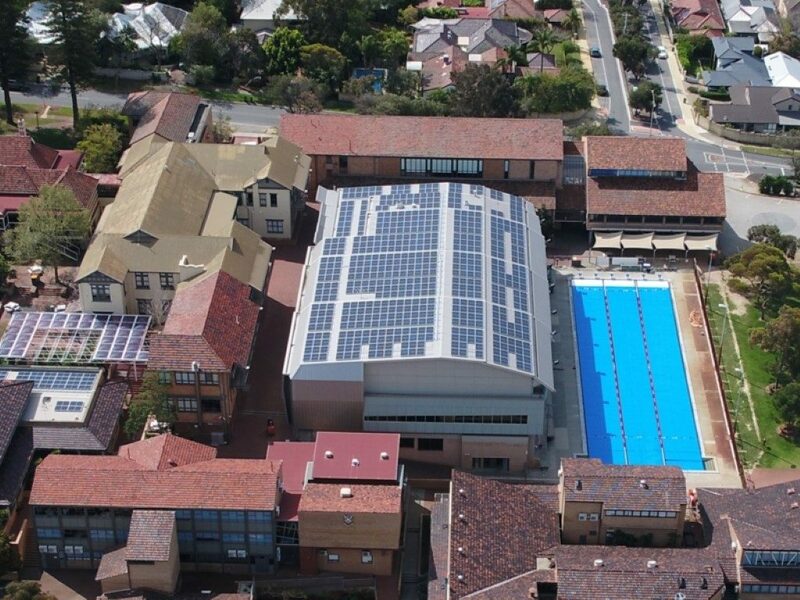 Scotch College, a private school founded in 1897 in Perth, has installed 512kW of rooftop solar across multiple rooftops on its premises with the goal of saving around $235,000 a year on energy costs. Another great step in the right direction for solar schools! 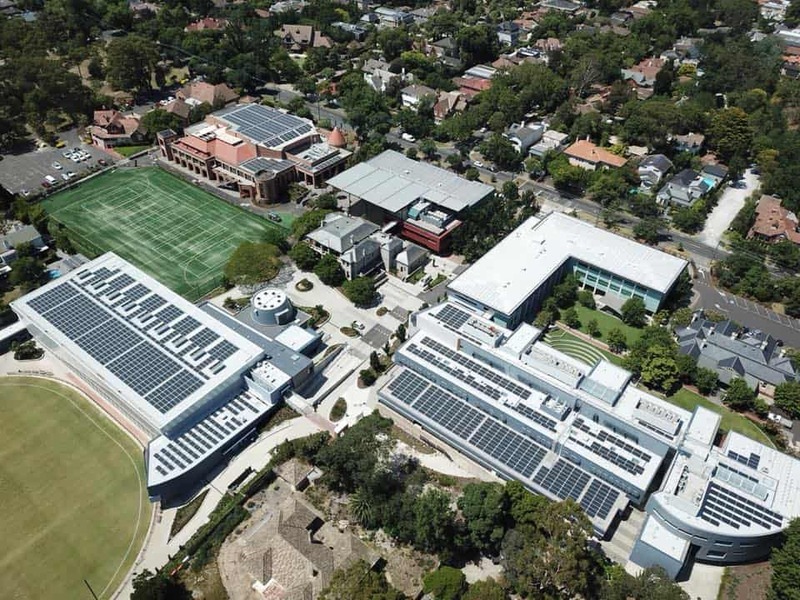 Scotch College installed a large-scale PV solar system at their school, with 1,280 photovoltaic solar panels (enough to cover 10 tennis courts) now currently generating 512kW of solar power. According to an article on One Step Off The Grid, this 512kW is expected to cover 26% of the school’s energy needs. It has been installed by Verdia , who were also responsible for financing a 1.7MW, $3.2 million PV solar system at the CSU Wagga Wagga campus late last year, and are helping Stockland Shopping Centres out with their gigantic commercial solar rollout (they’ve worked on Stockland Merrylands and Stockland Caloundra most recently). “It’s cheaper and cleaner than grid power and is a working example to students of a 21st century distributed power system,” said Verdia CEO Paul Peters. “The 512-kilowatt rooftop solar system has been installed across multiple buildings within the senior, junior/middle and maintenance school areas. It will replace about 26% percent of grid electricity use on-site with emission free, renewable power.” he continued. According to an official post about the Scotch College Solar System on the Verdia website, the solar project is expected to pay for itself in just under five years and it will save the school $4m in reduced energy costs over the life of the assets. 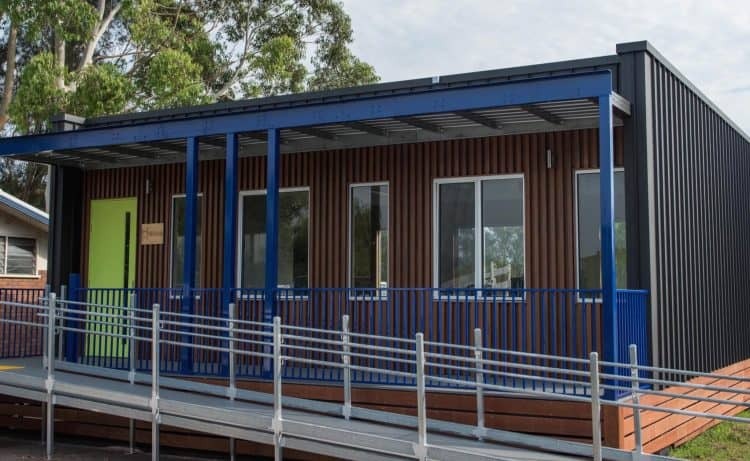 If you’re interested in learning more about the options for adding solar power to schools and classrooms, you can also read our article from earlier this year about the Hivvee solar powered school classrooms currently being trialled in NSW. The 862kW Camberwell Grammar School Solar System has been installed in Canterbury and all 2,607 solar panels are currently generating electricity for the largest solar project on any school in Australia. IT will generate 1GWh (1 million kWh’s) of clean energy every year. The team at Gippsland Solar (comprising of 14 commercial installers who were put up in Melbourne for the duration of the project) set up the school solar system, which includes two ‘off-grid classrooms’, earlier this year. It’s been a technically challenging process that required 3D drone modelling, complicated electrical and structural engineering. The first 550kW was delivered over the Christmas school holidays and the remaining 312kW was completed at the end of term one, so as to minimise the amount of disruption to students. According to the Gippsland Solar Facebook page, the system will generate just over half of the school’s usage and during the holidays they’ll export any excess power back to the grid. The school is now looking into installing a Tesla Powerpack battery to go with the solar system. Another huge step forwards for commercial solar as we see projects like this become financially feasible. What’s also great to note is that the project was entirely driven by the school student council, who presented the idea to the Camberwell board. If you want to learn more about the Camberwell Grammar School Solar System then click here to read a case study from the Gippsland Solar website or click the video below which shows off this beautiful feat of engineering. Kudos Gippsland Solar! Latrobe Valley solar: 30 public buildings to get PV. Solar Powered School Classrooms are being trialled in two classrooms in NSW as part of a $368,115 grant from ARENA. The classrooms are built by a company named Hivve and will be built at St Christopher’s Catholic Primary School in Holsworthy and Dapto High School. “It’s an exciting prospect where schools can be a generator of electricity,” Mr Boyd said. According to figures from the Australian Renewable Energy Agency (ARENA), school classrooms use an average of 3,800 KWh of electricity, but Hivve classrooms will generate 7,600 net KWh. The school and students will be able to view the results in real-time via an online dashboard. We’ve seen a lot of solar power at universities (e.g. UNSW’s recent pledge to become fully solar powered), but these are some of the first solar school initiatives – hopefully the first of many more!